Looking for medical books? Biblio.com.au hosts hundreds of of the finest online book stores and booksellers, including specialists in medical. Use the list below to locate a specific specialist bookseller or book store near you. Or, use the form below to search the inventory of all booksellers who specialize in medical. CHALLENGE BOOK STORE PVT. LTD. Challenge Book Store is a online bookstore based in India and selling books all over the World. We have vast range of books like Medical, Engineering, Computer Science & Technology, Management, International Studies, Environmental Studies, Food & Nutrition, Geography, Botany, Chemistry, zoology, Electrical & Electronic Engineering, Educational & Professional, Business & Economics, Fiction & Non-Fiction, Art & Architecture, Yoga & Meditation, Ayurveda, Religion & Spirituality, History & Politics, …. We have thousands of pre 1970s hardback first editions, war/military, literature, poetry, limited editions, signed copies, children, classics, literature, adventure, government, horror, love/romance, decorative/fine binding, botany, engineering, building, religious, history, medical, etc. We ship worldwide with great customer service. Used and rare books. 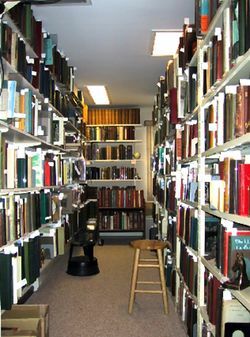 With an emphasis on the unique, sci fi and fantasy, first editions, scientific and medical. We also have a nice selection of high quality facsimile dust jackets done by famous artist John Anthony Miller (all jackets are marked TASTEFULLY that they are facsimile jackets, printed on high quality non acidic paper using the finest inks). Thank You for visiting Sunset Books on-line store! We value your business and do our best to provide quality used books to the public and dealers alike. Most of our books are of a technical nature, i.e. Mathematics, Chemistry, Physics, Medical, Electronics, and over 100 other fields. We do have some fiction and non-fiction that we are adding to all the time. Currently we have over 15,000 books listed and have approximately another 100,000 yet to inventory and list. NOTE! INTERNATIONAL BUYERS! Take notice of the weight of the book and if you object to paying additional charges for volumes due to weight or shipping destination, Please do NOT order as we do not ship for free. Hopefully, any purchase from us is problem free, however, in the event that something is not correct or to your liking, please contact us immediately, so that we can resolve the problem quickly and completely. Our descriptions are designed to be under the actual rating. This gives the customer the best product for the description. Our books are new - but unused - with the occasional damaged copy.